Now that you have a rough idea of the invasive and non-invasive treatment options available for wrinkle removal, I thought it best to give a detailed description for each removal option. So first in my list comes using botox injections for removing your wrinkles. botox itself is an implication of the true nature of Botulinum toxin type A. It works at removing your wrinkles by paralyzing underlying facial muscles and preventing them from wrinkling once it is injected. It can be used to remove all types of wrinkles like neck bands, forehead creases, frown lines and crow's feet. You don't need much of botox to remove your wrinkles; a little is more than enough to remove your wrinkles. However as this is a temporary procedure, it has to be repeated every 3-6 months. Once the effects of botox start wearing off, muscular activity gradually reappears to lead to wrinkles. If you are thinking of getting a botox injection, your doctor will first determine where the injection has to be administered and then use a very tiny needle for the injection. 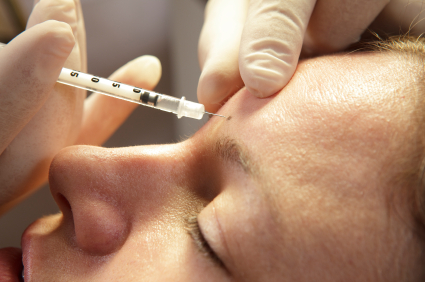 Once injected, botox attaches itself to nerve endings. Usually, the neurotransmitter acetylcholine found in these nerve endings gets released to cause muscle contractions during unimpeded muscle function. However once botox is injected, acetylcholine's release is blocked, wherein the muscle relaxes. You don't need any anesthesia to take botox injections as the most you will feel is a pin prick sensation. At the most, your doctor may numb the area using a cold pack or an anesthetic cream before injection. A botox treatment generally lasts for 10 minutes and no recovery time is required; so you can resume your activities immediately. You will see an improvement in the moderate and severe wrinkles in the injected region within 2-3 days' time. This improvement continues for as long as a month, and lasts for a maximum of 6 months. Results vary from person to person based on individual lifestyle and medical history. A botox injection ranges from $250 to $500 for an individual injection. There are no fixed prices as it is the doctor who decides its rate. I was surprised to learn that there are people willing to shell out $1000 for a single vial of botox too! I have learnt that botox treatments are safe and effective for removing wrinkles. However to ensure the best results, it should be received by an experienced and board certified doctor. Moreover, it should be administered in a controlled environment using sterile equipment, and precautionary equipment in case of emergencies. As some people are allergic to botox, it is better to consult a physician before you consider getting a botox injection. Moreover, pregnant and breastfeeding women and those having neurological disorders should not use botox. Just for safety's sake; if you plan to have a botox injection, don't sleep or drink any alcohol a few hours before treatment.